There is something special about a pristine, pencil-thin horizon that is exciting, like the start of a fresh adventure into the unknown. 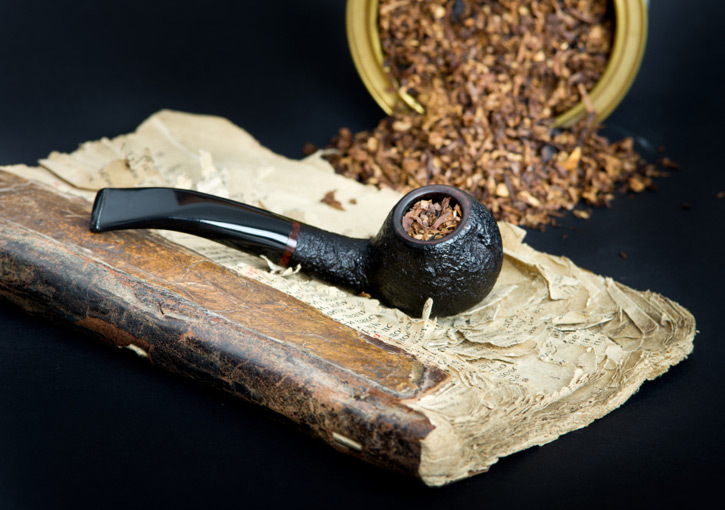 And that can only mean one thing for the pipes and tobacco lovers among us: Original pipes and new blends. Am I right? Well, maybe. Looking ahead is what we do with New Year’s resolutions that usually get lost in all the hubbub. And then the real world drops down around us in a shroud and those resolutions seem far, far off on a distant planet. But although I love the untrodden path, I also enjoy looking back, just a bit. For example, I haven’t smoked aromatic tobaccos in decades. On purpose. My last bowlful was a mouth-blistering conflagration in the 1960s or 1970s. I forget. I think the part of my brain that handles memories was damaged by the experience. 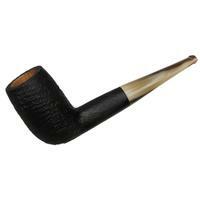 So, for the next, say, four-plus decades and change, I have stuck to Virginia tobacco, laced at times with Latakia and other times with burley or perique. Burley and Virginia have always been in the background or the foundation of these last 40-plus years of pipes and tobacco. Notice, please, no liqueurs, fancy spices, no food-grade additives are mentioned. Howsomever, a friend sent me a baggie of a modern-day aromatic from a B&M. I sent him a note and said thanks, but no thanks. Ok. Friendships these days are worth keeping, am I right? So, I dug out a rusty, crusty, beat up, battle-scarred cob. 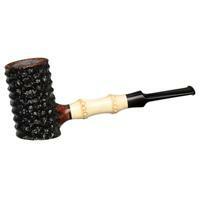 This Mark Twain cob gets all the tough assignments, like anything new to the lineup. It has yet to fail me. I filled the Twain with the aro, figuring it would stop working with a gob of goop just after the charring light. Oh, holy night, what was this? A miracle? An enchanting, captivating experience. Something moved in me. Mayhaps my memory returned. This was heavenly good! I puffed and puffed, tempting the concoction to rip out my tongue. The tobacco responded with not one flicker of a blaze. Not one toasted taste bud. Instead, I was treated to a delightful bowl of something like chocolate, cookie dough, berries, vanilla, and other food-grade spices. This was not fire and brimstone, but spices and myrrh, rich and nice, a smoke from the gods! I emailed my friend and asked him where I might find such gold nuggets? “Sorry, old friend,” it will take me a couple of days to get you, what, maybe a couple more ounces. Okay. Maybe not five pounds. A pound. I digress, I relented and settled for eight ounces. So, in looking back, I am looking forward as well. A new aro love in my life. Who knows, perhaps I will find other aros that hit that sweet spot, when you know like thunderclap love, this is it! I approach a new pipe season with all the glee and enthusiasm of a new bride: I’m wild about it! Nothing but nothing can take the place of a new pipe season. Not even the NCAA football championship game between the University of Alabama and Clemson. (Please note here, though I spent two decades as a newspaper sportswriter, I am not picking sides). 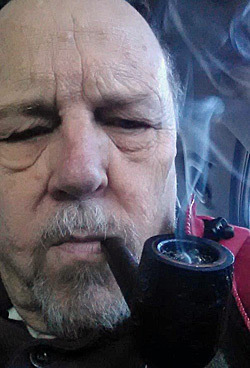 Like a mad scientist, I go through the P&C catalog wild with excitement; I peruse Smokingpipes.com; Iwan Reis; Pipesandtobacco.com; I gobble up new ideas from old-timers in the NASPC January quarterly and many, many other web sites as well as print. I haunt the forums on this marvelous web site and a couple of others. I’m searching for new pipe tobaccos to try, or even a new artisan with aged briar. 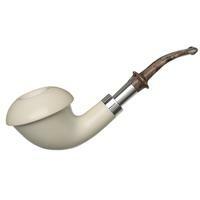 We, meaning all of us pipe smokers, have selective memories: we know our pipes by their feel and their ability to handle whatever leaf we throw at them. But to be a bit tantric here, each new year, like the spray of stars across the night skies in this new time, we scan our pipes and feel a need for more, something different, a Ganymede to serve the gods our precious leaf. A new year brings its own joys in the pipe world. Artisans across the globe will ply their trade to attract our attention. Tobacconists of considerable talent will blend their leaf elixirs and we will eagerly snap them up. A new pipe year like the new green in spring, jump starts the blood, kicks up the heart beat and drives us insane! 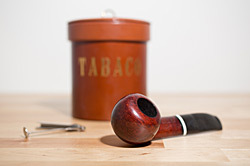 And, too, the new season of pipes and tobacco is a time for us to reflect on not just the past but the future. We, the collective pipe society, are under grave threat from heavy government interference in our world. Those who would have us marched off in chains are gaining in strength through devious ploys. And, frankly, some of the tobacco leaders are not helping our cause. But I shall not enter that discussion here. We are all well aware of the dangers that lurk in our midst. 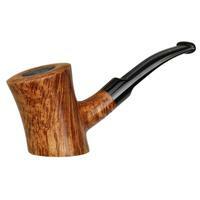 A new season brings imaginative and exciting pipe production and tobacco. Who knows, perhaps new blends will be born that help alleviate our loss of McClelland and Dunhill tobacco blends, a true disaster for many of us. Losing just those two is like the theft of or perdition of a rare Monet or Rembrandt. And maybe the Laudisi connection with Peterson Pipes will deliver something quite special. I’m betting on it. We are in challenging times in our hobby. 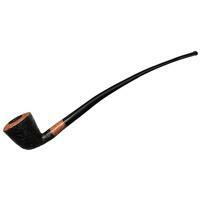 It is important, I believe, for us to not only support our local pipe tobacconists, but the online retailers as well. We are locked in this dance step together: retailer-artisan-blender-online merchant-customer. We hold our past, present and future in our hands. And, frankly, that is one of the true reasons I become so excited about the birth of a new pipe season. It gives us, our pipe society, another opportunity to tell those who would do away with us, that we are here to stay, we love our pipes and tobacco and the men and women who produce them for us. I truly believe that we will prevail, for no such aberrant authority, regulation or prohibition has ever stopped the American public completely. That is what a new pipe year means. We will prevail. We will smoke our pipes and enjoy our newest blends from the talented minds and hands of tobacco blenders. New year, new pipes, and tobacco. It is a grand adventure. Amen, Fred, and Happy New Year! Enjoyed the article. Great article Fred. Always look forward to your articles and glad you found that new blend to add some zest to your life. May we all find another blend this year to due the same. Take care. Oh, AL vs Clemson. Is that division II or III? Enjoyed the article as we step into the new year, leaving behind a rough one. Hope to hear the name of this new blend, as I too crave an aromatic that accentuates the flavor of good quality tobaccos. Thanks for the upbeat perspective. As always, superb writing.